Welcome to the Designbox Design Store for TX Text Control .NET. 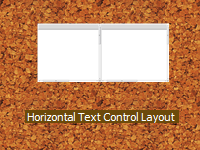 We are pleased to offer these Design Palettes that target TX Text Control .NET controls, free of charge, to licensed Designbox and TX Text Control customers. 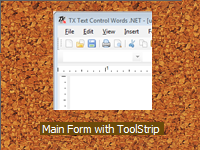 Contains a standard set of designs for creating a wide range of TX Text Control starter applications. 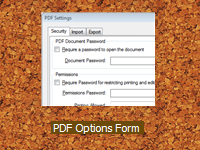 Contains designs for dialog forms that you can use to manage your TX Text Control options. A Design Palette with standard ToolStrip and MenuStrip Designs. A set of common, useful designs that let you layout and design your TX TextControl quickly. 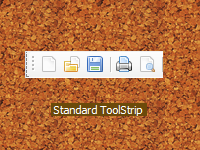 Dozens of predefined ToolStrip buttons.